This is a Persona 5 article on Mementos List. Here you’ll find information about Persona Mementos List that is found in Persona 5. Mementos is a large Palace that exists separately from the other story Palaces. Rather than a set layout, Mementos changes each time the player enters. It is populated both with Persona seen in the other Palaces and others that are only available in Mementos. 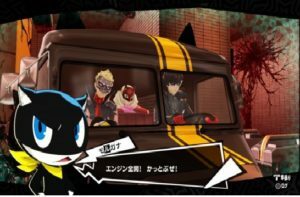 There are a number of missions that take place in Mementos. The protagonist must first identify targets in the real world before finding their shadows in Mementos. Mementos has a number of unique features aside from its randomized layout. If a player stays in a single area for too long, the Reaper will appear. The Reaper is a very powerful shadow that requires heavy preparation to defeat. The fight cannot be escaped, so encountering the Reaper can be an automatic game over in the earlier levels of the game. When the Reaper emerges, the sound of chains will rattle throughout the floor. It is highly recommended to escape to another area as soon as the chains are heard. Should the player defeat the Reaper, they will receive a large sum of experience along with rare items. Awesome blog! Do you have any hints for aspiring writers? I’m planning to start my own site soon but I’m a little lost on everything. Would you suggest starting with a free platform like WordPress or go for a paid option? There are so many choices out there that I’m completely confused .. Any tips? Many thanks! I’m typically to blogging and i definitely appreciate your content material. The post has seriously peaks my interest. I am going to bookmark your internet site and keep checking for new information and facts. It’s in point of fact a nice and helpful piece of information. I’m happy that you simply shared this useful info with us. Please stay us informed like this. Thank you for sharing.